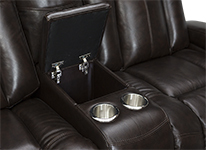 Padded console opens up to reveal ample storage room. 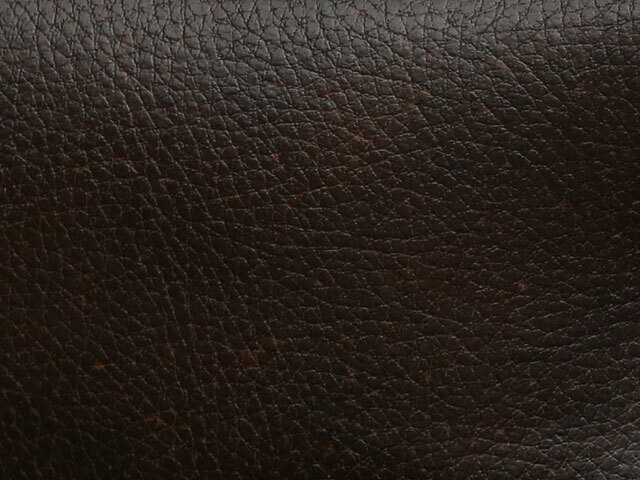 Armrests of this seat open up to reveal plenty of space. An exclusive and trendy release by Barcalounger, the Griffith Home Theater Sofa is fashioned from grade 7000 leather due to its smoothness, extended durability and appearance. 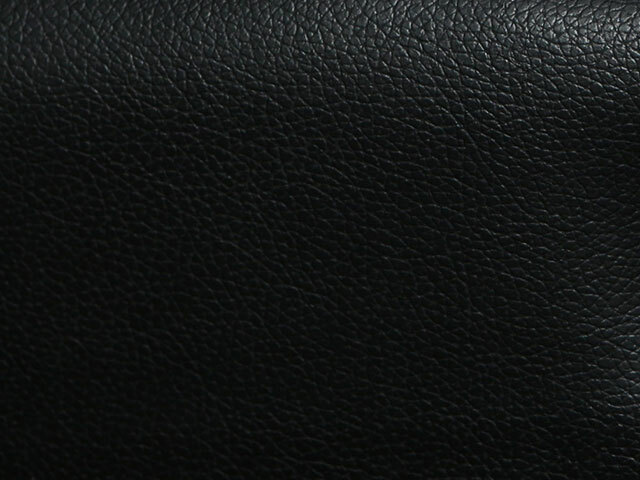 The seats are all made with cool gel foam to always keep an optimum body temperature for everyone. 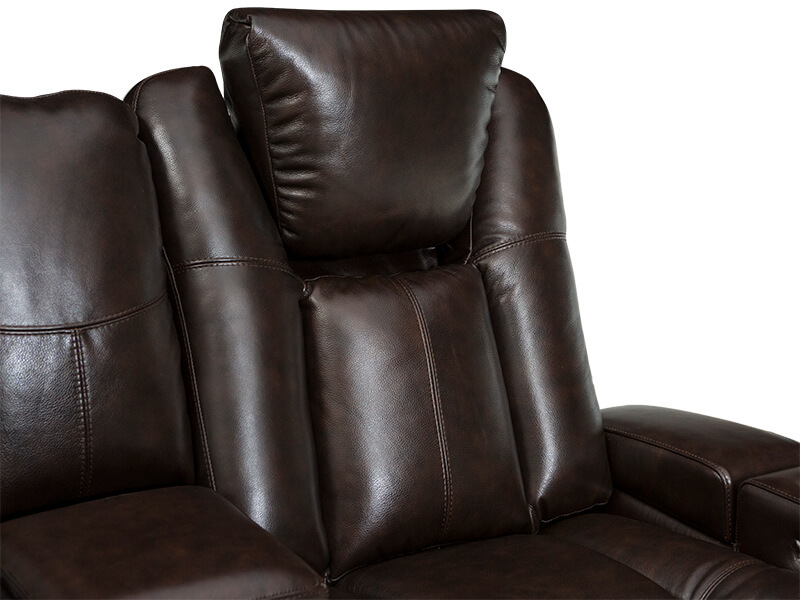 The Griffith comes in two configurations: A convenient sofa with an armless fold-down table, and a loveseat that includes a storage console, that when bought together cover all home theater requirements. 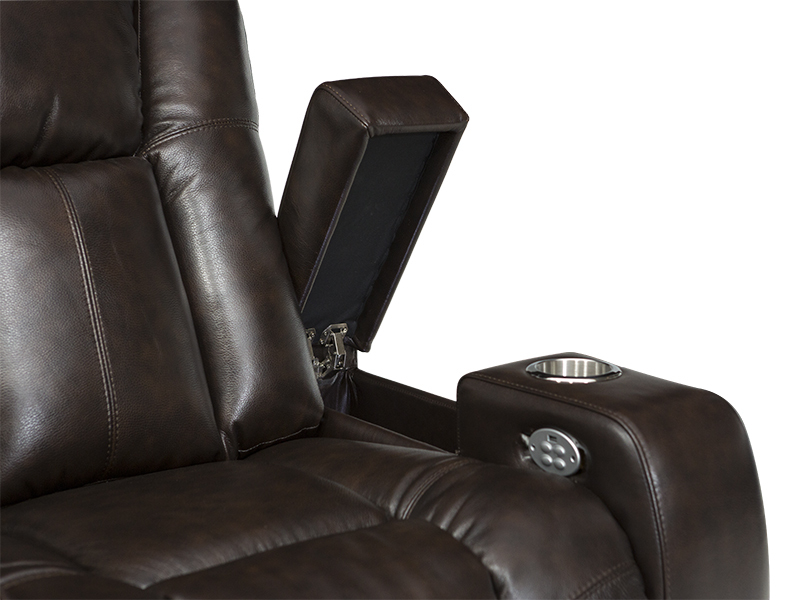 The outer seats are power recliners with power headrest so you can find the position and best view with the press of a few buttons. 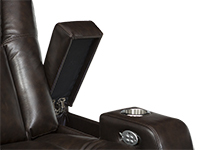 The arms of the chair are kindly cushioned to allow you to rest your arms, while a hidden in-arm storage is underneath. 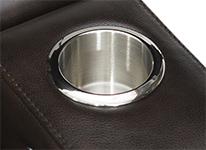 Stainless steel cupholders are included on the arms so you never have to worry about replacing them. 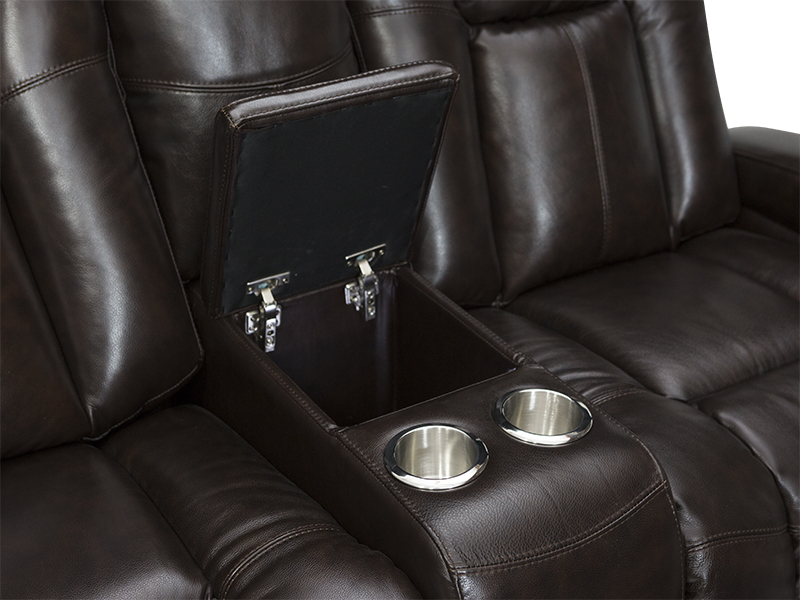 Finally, the storage console has two cupholders and a spacious storage to place any of your devices. 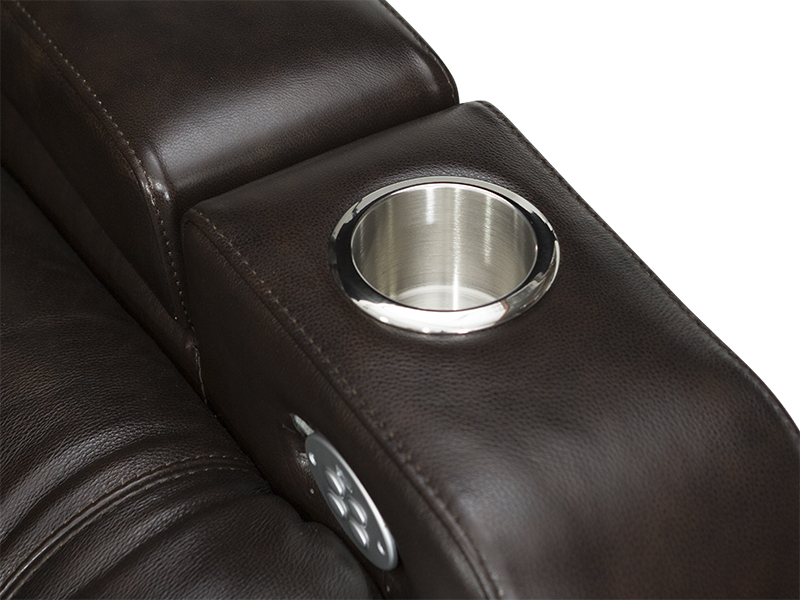 Meant to be a durable, trendy, full-featured, the Griffith is a great choice for any media room or home theater. Yesterday, today and tomorrow, a premium brand, Barcalounger...because you're comfortable with the best. 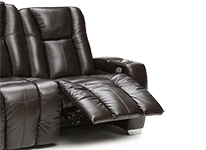 BarcaloungerÂ® has been an industry leader since producing its first recliners in the 1940's. 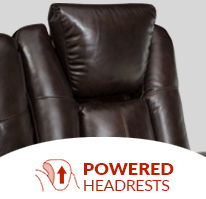 Always known for high quality, luxurious comfort and innovative design, the BarcaloungerÂ® brand has become a household name when referring to reclining chairs. Our success at changing with the times while remaining true to the core characteristics that we built our brand on has proven to be our greatest strength. Today's BarcaloungerÂ® is not your Father's (or Grandfather's) recliner.